18 Now it shall come about when he sits on the throne of his kingdom, he shall write for himself a copy of this law on a scroll in the presence of the Levitical priests. 20 that his heart may not be lifted up above his countrymen and that he may not turn aside from the commandment, to the right or the left, so that he and his sons may continue long in his kingdom in the midst of Israel. We have seen in a previous article the importance of documentation formulas in the Hebrew Bible (Documentation formulas and the Hebrew Bible 1). Together they form the clearest testimony for documentation behind the books of the Hebrew Bible. This is absolutely contrary to the assumption of an oral tradition preceding the books of the Hebrew Bible. The view of an oral tradition is generally accepted in Protestant theology and it is an inalienable part of Roman Catholic theology. 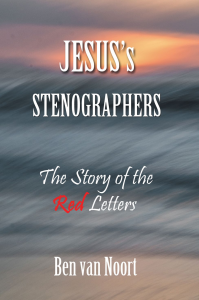 It is a common view among Christian theologians that where we read direct speech in the Old Testament – ‘God said …’ or ‘this or that person said …’ – the original sayings are not, or mostly not, delivered accurately due to the oral tradition. This would mean that, at best, the tendencies of the sayings are preserved, (orthodox theology), or one assumes that we have to do with man-made representations of some later time with embellishments, pious exaggerations and even malicious deceptions (liberal theology). The respected protestant theologian Karl Barth rejected the term ‘myths’ for Genesis 1-3, the stories of Creation and the Fall of mankind. But he accepted the term sages (legends) (Kirchliche Dogmatik III/1,91-99). I feel that he formulated a consideration that is now common in Protestant and Roman Catholic theology; and even sage, legend, can be extended up to and including chapter 11: the stories of Cain and Abel, the Flood, the Tower of Babel and the Decline of Ages. However, with the acknowledgement of documentation formulas we are able to come to much more accurate considerations. In Deuteronomy 17:18-20 we read about the duties of the future Kings of Israel. They had to read in the Torah daily. Here again we meet a documentation formula covering also the first books of the Bible, including Genesis 1-11. All the words of the Torah, are named: law, statutes and commandment. This refers to documentation. The direct speech in chapters 1-11 contains sayings of God: commandments (mizwotai), which became writings in a reliable way (choekotai) and formed instruction for men (torotai). Of course, this is in need of a closer look. The oldest documents of mankind are in fact cuneiform tablets. This way of writing preceded the use of wax tablets everywhere in the Middle East. The first writing form in clay was also a real possibility in Eden. Just as Moses got the Ten Commandments in stone on Mount Sinai, Adam and Eve were taught in writing in Eden. Just as Angels communicated with Moses, in the same way they communicated with Adam and Eve. The story of the Fall illustrates that Adam and Eve could forget things, i. e. that they were not endowed with infallible memory. Certainly reading and writing was important to mankind already in Eden. The Hebrew writing system is characterized by the notation of consonants and the omission of vowels. This is unlike any human discovery, but more a divine revelation: a divine gift in Eden to mankind, revealed by angels instructing this way of writing. Documentation formulas present a new concept of truth: the reality of documentation. That is: the Scriptures are not only spiritual and informing, but now we can understand how it is possible that we are dealing with correct writings. This is certainly a precious addition for our experience of biblical truth. Probably not everybody will be ready to accept this concept of truth connected with documentation forms and formulas; especially writing in Eden. But that is no reason for any serious Bible believer to let documentation and its impact, be laid aside. Not only has this view a spiritual signature but also an evidence based foundation.